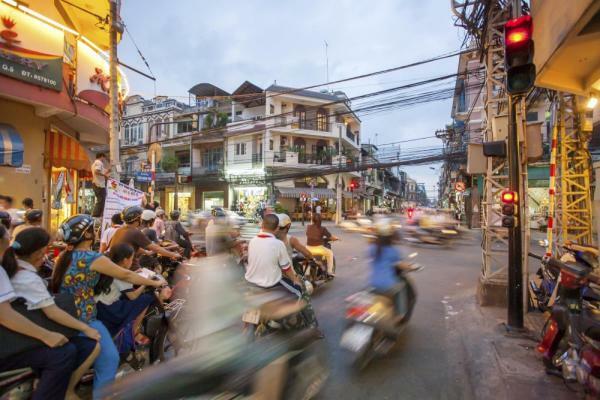 Visit two of Vietnam's most intriguing cities on this 6 day tour of Hoi An and Ho Chi Minh City. 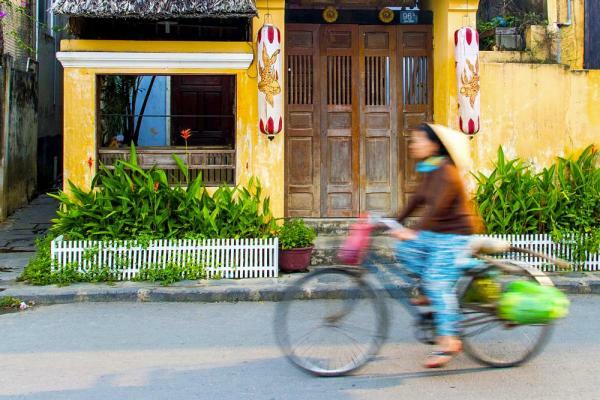 Explore the Mekong Delta and visit historic sites from the Vietnam War. Visit local villages and bike through orchards as you experience the local people. Continue on to Siem Reap in Cambodia or Bangkok in Thailand for a two week trip in Southeast Asia. 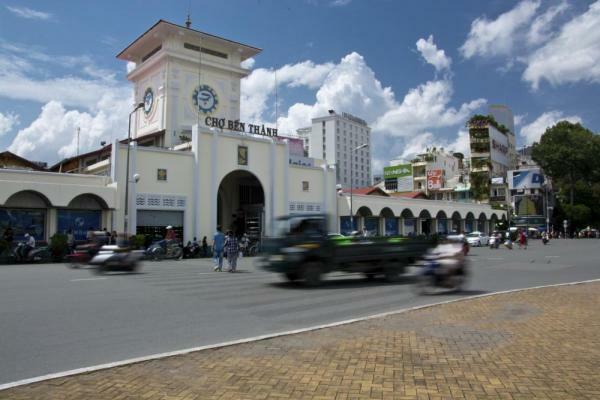 Arrive to Hoi An today where you are met and drive to your hotel. Settle in and enjoy a leisurely evening. 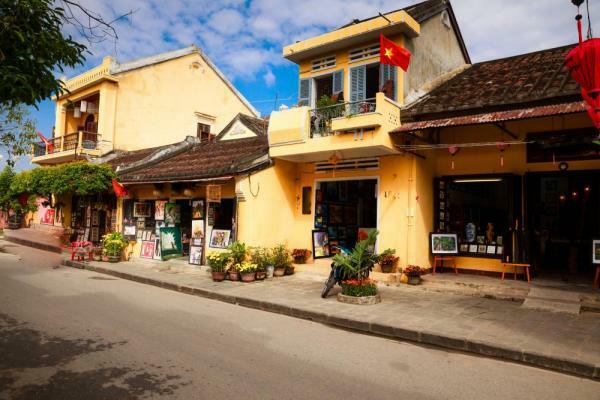 Hoi An is a charming smaller town consisting of hundreds of historic houses, pagodas and other structures. Its ancient town is one of the best preserved examples of a South-East Asian trading port dating back to even the 15th century. The buildings and streets here reflect indigenous and foreign influences which reveal its unique and multi-cultural heritage. Today visit some of the main sites including the Japanese Covered bridges, the Pottery Museum, and the 200 year old Tan Ky House. The Chua Ong Pagoda and the vibrant local market are also stops along the way on this walking tour. The evening is free for you to wander this charming down on your own. Today you set out with your guide for a cycling tour of traditional farming and fishing techniques. Take a lazy ride on dirt paths, fresh air, small villages and absolutely beautiful paths through the rice fields outside of Hoi An. Stop in the village of Tra Que for a short walk to see the vegetable garden and then opt to join the farmers in preparing the land and fertilizing it with lake seaweed. Join in raking, sowing, watering and picking vegetables along with other gardening activities during your visit. Enjoy a short rest after your labors along with a footbath before preparing lunch together with a local family. During lunch try some of the local delicacies including 'tam huu' spring roll and banh xeo, a Vietnamese style pancake. In the afternoon, cruise the river to meet and work with local fishermen where you will have the opportunity to experience hands-on traditional net fishing. Later, paddle in a unique Vietnamese bamboo basket boat along the waterways of coconut palm paradise. Return to Hoi An airport this evening for a late night flight to Ho Chi Minh City. Other excursion options are available this day, including a Cham Island snorkeling excursion, countryside bicycling, or Hoi An fishing life tour. 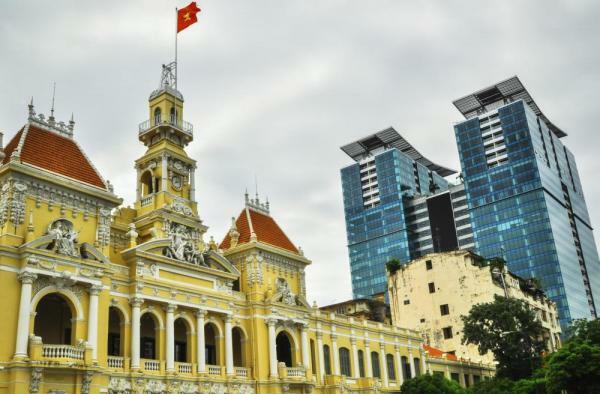 After breakfast meet your guide for a tour of Ho Chi Minh City, the country‘s most dynamic city – a vital economic hub with bustling life. Your first stop will be the Jade Emperor Pagoda, one of the most spectacularly atmospheric temples in the city. Also explore the Reunification Palace, a landmark built atop the former site of the Norodom Palace. See the Notre Dame Cathedral, a french style construction from 1880, as well as the historic building housing the Central Post Office. Make a stop in to see XQ embroidery workshop where fine hand-made silk embroidery are made and sold. 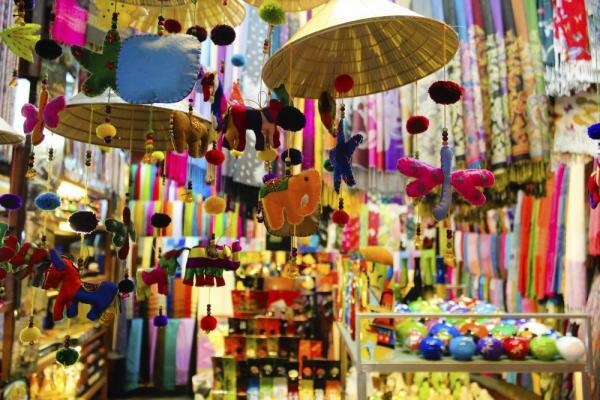 Finish up the day with a visit to Ben Thanh Market where visitors can find a variety of local handicrafts, souvenirs and taste local cuisine. After lunch, drive to the famous Cu Chi tunnels 36 miles (75km) northwest of ho Chi Minh City. This strategic 124 mile (200 km) network of tunnels played an important role during Vietnam's war for independence in allowing the North Vietnamese to maintain a military presence in South Vietnam virtually undetected for many years. Today take the opportunity to see how these soldiers lived underground, what they ate, and what kinds of booby traps they used to ward of invaders into their private underground world. This morning heads towards Ben Tre to embark a boat for a cruise along this river which is a branch of the Mekong river. As you cruise your boat stops for a visit in a quiet village along its bank. 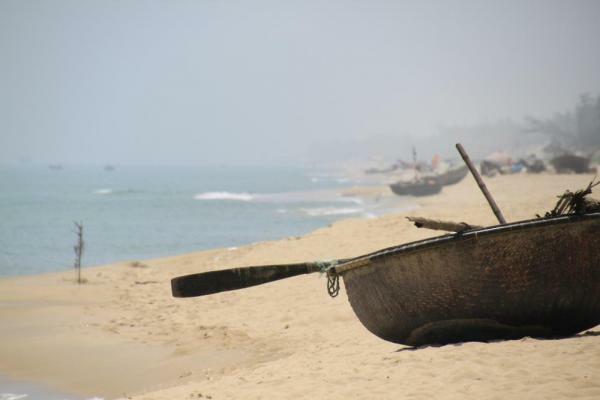 Start with a short walk through various local workplaces in Nhon Thanh Village including visits to a brick kiln, fruit orchards, and a coconut candy workshop. Board your boat and cruise further down the river until you arrive at a mat weaver's house. Here you see straw mats woven by hand and may try weaving a mat yourself if you like! Here board a xe loi (motorized rickshaw) to a riverside restaurant for lunch. After lunch pick up a bike and begin cycling through orchards to Mr. Khanh's house. Khanh is a passionate antiques collector and his house is full of artifacts from Vietnam and other places in Asia. See some old family albums dating back to the French colonial time. Get back on your bike and cycle along the river to board your boat again and return to the pier to disembark. 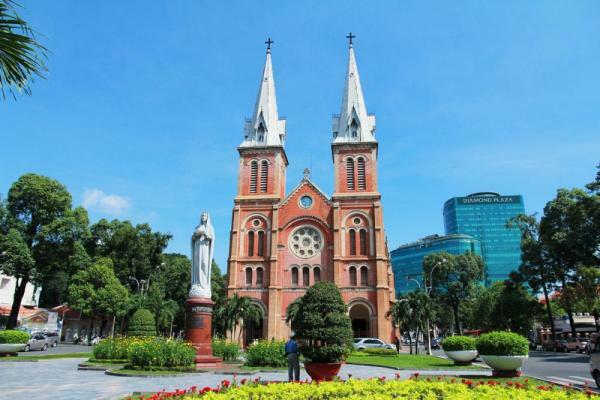 Return to Ho Chi Minh City and enjoy a leisurely evening. Enjoy a free morning before transferring back to the airport for your return flight home or on to your next destination. Final payment is due 70 days (10 weeks) prior to departure by bank transfer, check, or credit card. Final payment by credit card may be subject to surcharge or a maximum $20,000 charge.